TV-Browser is basically an electronic program guide (EPG) with an interface which displays currently playing television programs. 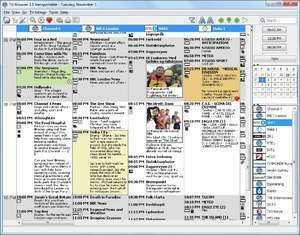 The overall interface allows users to sort TV channels and programs by language, content and station. The main purpose of this program is to create a personalized TV guide without the need to subscribe to a relatively expensive weekly service like TV Guide. It allows you to catch the programs you want without missing an episode. For security reasons, you should also check out the TV-Browser download at LO4D.com which includes virus and malware tests. Additional screenshots of this application download may be available, too. TV Browser download been highly rated by our users.